This is such a pretty outfit! I love the gorgeous colours. That skirt is fantastic. In love with the colors! Lucky you.. we are in layers and layers of wool here! 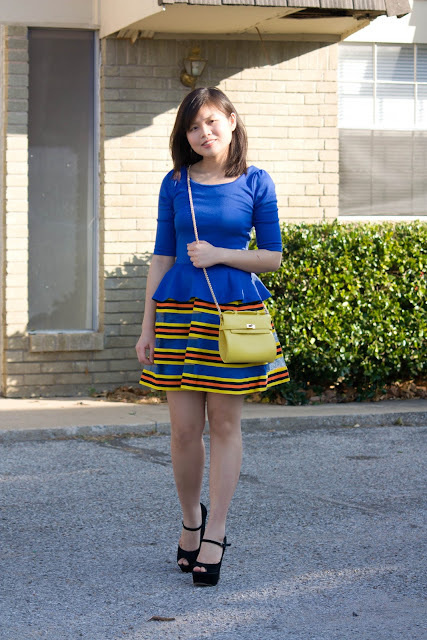 This lovely dress looks so good on you! wow, fantastic look. 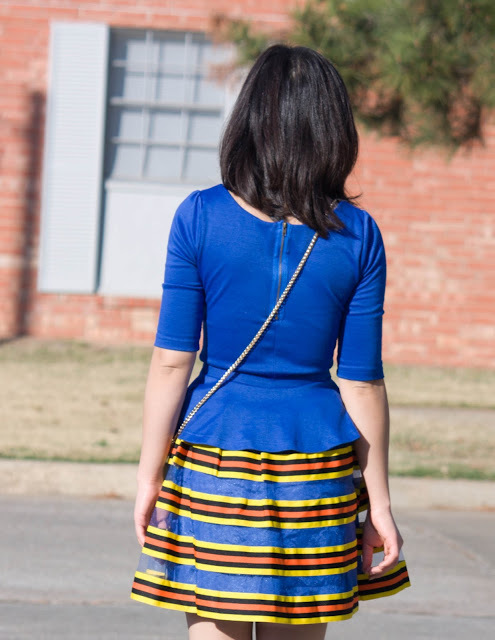 i'm so in love with your skirt! 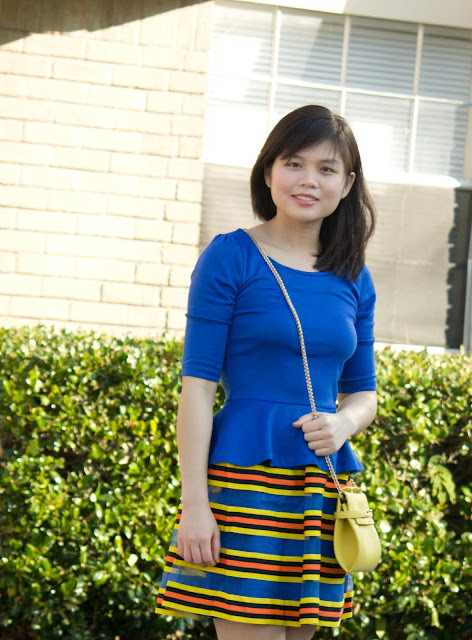 i really like the blue peplum top!